Wow. This post is LONG overdue. I’m going to make it a quick one. I had my friends at GA JeepTech install the MetalCloak UnderCloak integrated armor system, and all I can say is WOW. This system is pure beef. I was so busy admiring the pieces and how they fit together that I forgot to take pictures during the installation. I have a few photos (with greasy hand prints from before we wiped the armor down) of the system all installed, but they don’t really do this setup justice. The heavy duty cross member makes the factory cross member look like a tin can. I can safely say that with this armor installed, I will feel a lot more confident on the trail. 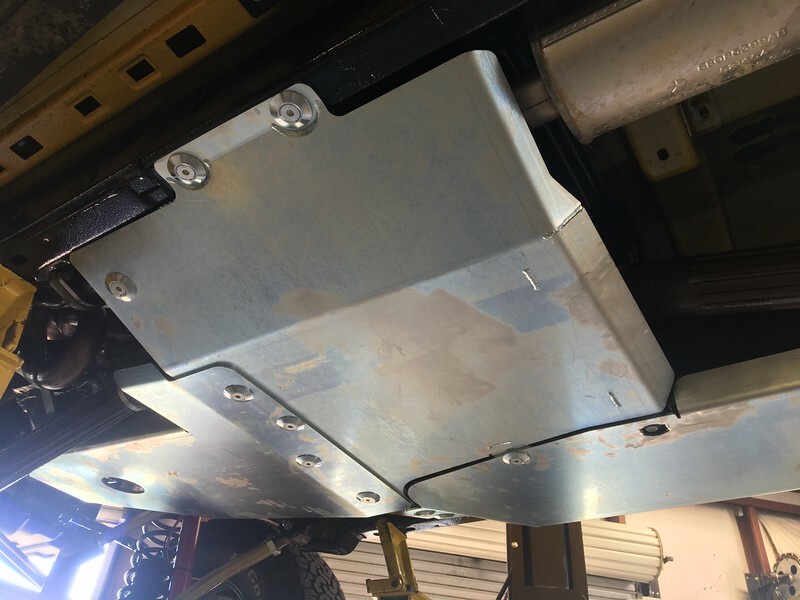 This kit protects the motor, oil pan, transfer case, transmission and gas tank, so the only other skid that I need now is a beefier EVAP skid (I have one from the factory). Please follow and like Rube!